Previewing your Instagram posts with Social Report doesn't stop with an in-feed look at your new posts—now, you can preview new posts in the context of your Instagram grid before you publish it. 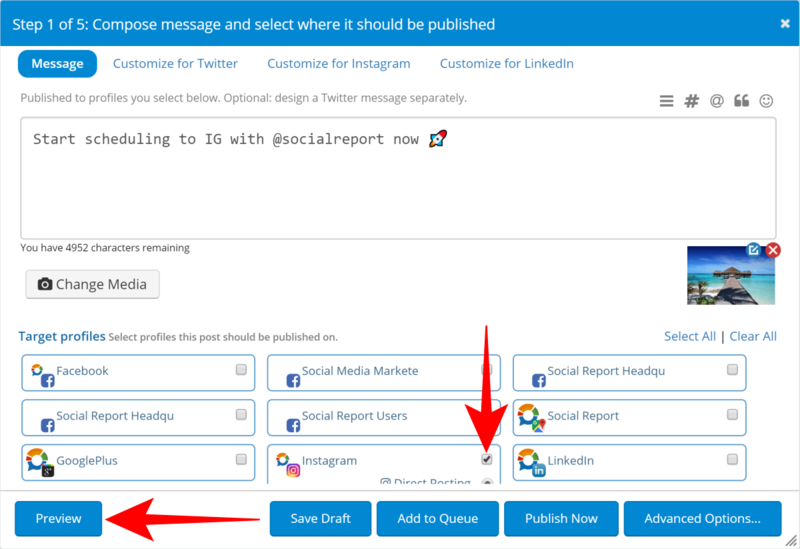 First off, make a new Instagram post as usual in the Social Report dashboard. Once your post is ready to go, select Instagram in the Target Profiles section and click Preview at the bottom left-hand corner of the screen. You will now be taken to the post preview window. Click the Instagram button on the left-hand side of the window and you'll be brought to your in-feed post preview. Then, click the Grid Preview button at the top of the window to see your post in the context of your Instagram grid! And that's all there is to it! 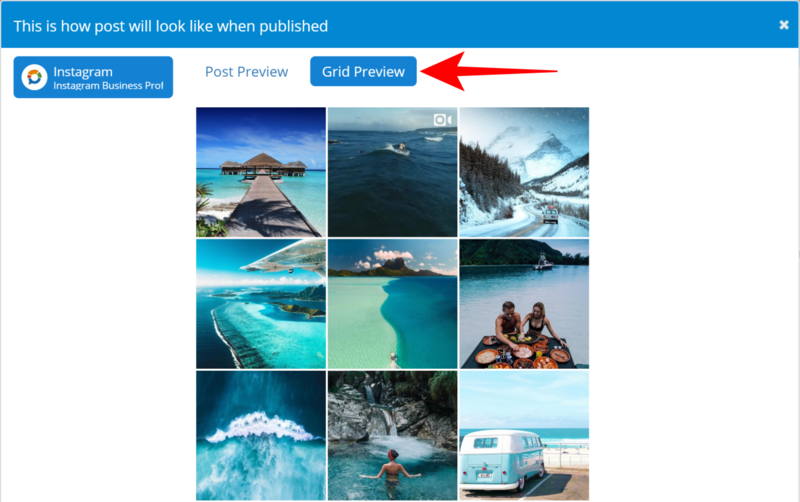 Now, you can rest assured that all of your Instagram posts look great when they land in your grid (and on your customer’s Instagram feeds).